What is Formative Assessment for Michigan Educators (FAME)? FAME is an exciting professional learning initiative sponsored by the Michigan Department of Education (MDE) that promotes teacher collaboration and planning for effective formative assessment practice. A cadre of Michigan educators serves as coaches for site-based learning teams of teachers and administrators in Michigan schools. What impact would formative assessment best practices have on student learning if they were used widely? Interested in becoming a FAME Coach? Become a FAME Coach and build a learning team. The new Coach application (open only to Michigan educators) is open now until May 3rd. What is the Formative Assessment Process? Formative assessment is a planned, ongoing process used by all students and teachers during learning and teaching to elicit and use evidence of student learning to improve student understanding of intended disciplinary learning outcomes and support students to become more self-directed learners. PLANNING is a complex process that enables a teacher to plan student engagement with content that promotes student learning. LEARNING TARGETS written in student-friendly language are used to help students understand what they are learning, how to reach the target, and what success looks like once the target is reached. What Does The Student Understand Now? Student EVIDENCE OF LEARNING is used to help teachers know where students are in relation to the learning targets, help students see what they know and need to work on, and help teachers and students make decisions about where to go next with the learning. How Do We Get To The Learning Target? FORMATIVE FEEDBACK, verbal and written, helps students understand how close they are to the learning targets and what they can do to move closer. INSTRUCTIONAL DECISIONS, as part of the formative assessment process, are made by teachers to alter or verify instruction based on student evidence and their progression toward learning targets. In addition, students make learning decisions in the formative assessment process when they use formative feedback about their progress to make adjustments in their learning and set goals to reach the learning target. FAME continually invests in program improvement by studying the program’s effects on teachers and students and developing, evaluating, and refining resources used in the program. A new principal addresses achievement gaps by using state and local assessment data to draft a school improvement plan that included Formative Assessment for Michigan Educators (FAME). This article showcases Michigan teachers using rubrics and video to improve their practices. This paper from the Council of Chief State School Officers (CCSSO) discusses formative assessment practices for students with disabilities, illustrated with text and video examples. New insights are emerging about the critical role students play in maximizing the effectiveness of formative assessment practices; about how to help teachers develop and hone their formative assessment skills; and about how education policy can be used more effectively to deepen and scale up the use of classroom-based assessment practices. Formative Assessment and Next-Generation Assessment Systems: Are We Losing an Opportunity? All too often, the term “formative assessment” conjures images of quizzes and tests, but formative assessment is a process used by teachers and students during instruction that provides feedback to adjust ongoing teaching and learning. 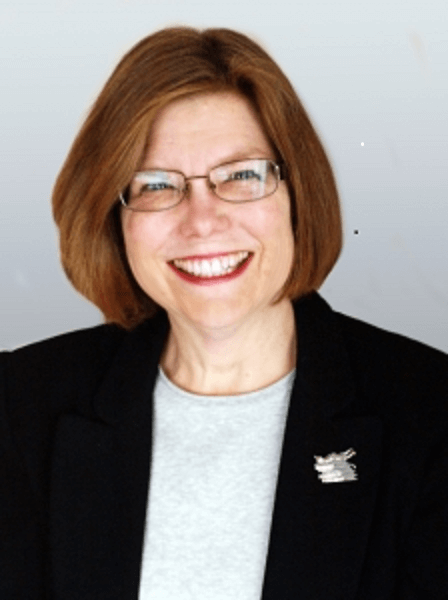 Margaret Heritage is an internationally recognized expert in formative assessment. Currently, she is an independent consultant in education and a senior advisor to WestEd. She spent 22 years at the University of California, Los Angles (UCLA), first as principal of the laboratory school of UCLA’s Graduate School of Education and Information Studies, and then as an assistant director at the National Center for Research on Evaluation, Standards and Student Testing. Her work is published in peer-reviewed journals, edited books, and practitioner journals. Her most recent book, Formative Assessment in Practice: A Process of Inquiry and Action, and a co-authored book, English Language Learners and the New Standards, are published by Harvard Education Press. James Popham began his career in education as a high school teacher in Oregon. He is professor emeritus at the University of California, Los Angeles Graduate School of Education and Information Studies. He is the author of twenty-five books and a former president of the American Educational Research Association. In 2002 the National Council on Measurement in Education presented him with its Award for Career Contributions to Educational Measurement. In 2006 he was awarded a Certificate of Recognition by the National Association of Test Directors. Rick Stiggins founded the Assessment Training Institute (ATI) in 1992 to provide much-needed professional development in assessment for teachers and school leaders. ATI can help assessment users at all levels learn how to (a) create high-quality assessments, and (b) use them in the service of student success. The most unique feature of the ATI philosophy remains our advocacy of and professional development in “assessment for learning”; that is, the use of student-involved classroom assessment, record keeping and communication to promote success for all students. The ATI programs, materials and services in classroom assessment for student learning are specifically designed to draw teachers and administrators into local learning teams to master principles of balanced assessment and assessment for learning. Rick is the author of numerous books, articles and papers on assessment practices in the classroom and its impact on students and student success. Dylan Wiliam is Emeritus Professor of Educational Assessment at University College London. After a first degree in mathematics and physics, and one year of teaching in a private school, he taught in inner-city schools in London for seven years. In 1984, he joined Chelsea College, University of London, which later merged with King’s College London. From 1996 to 2001, he was the Dean of the School of Education at King’s, and from 2001 to 2003, Assistant Principal of the College. In 2003, he moved to the USA, as Senior Research Director at the Educational Testing Service in Princeton, NJ. From 2006 to 2010, he was Deputy Director of the Institute of Education, University of London. Over the last 15 years, his academic work has focused on the use of assessment to support learning (sometimes called formative assessment). He now works with groups of teachers all over the world on developing formative assessment practices. Paul Black earned his first degree in physics, and subsequently obtained his PhD in crystallography at the Cavendish Laboratory in Cambridge in l954. Between 1956 and 1976 he was a faculty member in the Department of Physics in the University of Birmingham (England), but his interests gradually moved from research in physics to research and development in science education. He left Birmingham in 1976 to become professor of science education and director of the Centre for Science and Mathematics Education, at Chelsea College in London, and when Chelsea College merged with King’s in 1985 he became the head of the King’s Centre for Educational Studies, King’s College London (KQC). He retired in 1995, but is still active in research and development work. He has been a visiting Professor of Education at Stanford University, California. For many years he was involved closely with curriculum development work with the Nuffield Foundation in science and in design and technology, at primary, secondary and tertiary levels. He was chair of the government’s Task Group on Assessment and Testing in 1987-88, and deputy chairman of the National Curriculum Council from 1989 to 1991. He has served on three committees on the USA National Research Council. He is a member of the Policy Advisory Group and of the Technical Advisory Group of the UK Examination and Qualifications Regulator, OFQUAL. He is currently engaged in research and development work to improve classroom practices in both formative and summative assessment. Susan M. Brookhart is an independent educational consultant and author based in Helena, Montana. She currently serves as an adjunct faculty member in the School of Education at Duquesne University. She was the 2007–2009 editor of Educational Measurement: Issues and Practice, a journal of the National Council on Measurement in Education, and she is currently an Associate Editor of Applied Measurement in Education. She is author or coauthor of 17 books and more than 70 articles and book chapters on classroom assessment, teacher professional development, and evaluation. Chris Harrison taught science in London schools for 13 years before gaining a position at King’s College London, in teacher training. Her PhD study, supervised by Paul Black, looked at the assessment practices of two high school science teachers and explored how their pedagogy changed through strengthening the feedback evidence from their learners. Chris went on to co-direct the KMOFAP study, with Paul Black and Dylan Wiliam, which looked at assessment for learning in science, English and mathematics classrooms. Several studies and consultancies on Assessment for Learning followed, where Chris developed a collaborative action research approach that enabled research and professional learning to benefit one another. She has written extensively on classroom assessment for teachers, researchers and professional developers and made two television programs on her work. Chris is known, both nationally and internationally, for the ways she can relate research to practice, made possible through extensive experience of teacher education from both a research and teaching perspective and this means that she is often asked to do keynotes, run workshops, and write chapters and books for a wide range of educational audiences. She advised the English National Strategy on both iterations of the Assessment for Learning professional development materials for schools in England and Wales and was lead consultant on the Assessment is for Learning project in Scotland. 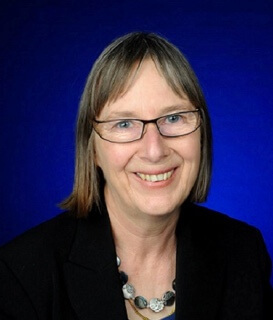 She now leads the UK expert team for the International Symposium on Classroom Assessment and Assessment for Learning forum, where academics and practitioners from across the world gather to share their work, ideas, projects, under three broad umbrellas – policy, professional learning and research. She has recently ventured into new realms of professional learning having designed a MOOC on Assessment for Learning in STEM subjects, which has had more than seven thousand participants sign up for it. With over 20 years of working in the field of classroom assessment, Chris remains enthusiastic and committed to helping teachers make this an effective aspect of their classroom practice. Professor Bronwen Cowie is Director of the Wilf Malcolm Institute of Educational Research, The University of Waikato, New Zealand. She began her career as a secondary maths, science and physics teacher and then moved to the university to work on the Learning in Science Project [LISP] (Assessment). Her particular interest was in student perceptions and experiences of classroom assessment. The LISP project highlighted that teachers and students perceived and experienced formative assessment as embedded in and accomplished through a combination of classroom interaction and planned activities. This study highlighted the role of teachers noticing, recognizing and responding to student learning as part of classroom interaction. Dr. Jill Willis is a full time continuing senior lecturer in the Faculty of Education at Queensland University of Technology in Brisbane, Australia. She teaches beginning teachers to embed AfL (assessment for learning) practices into their curriculum, pedagogy and assessment, and teaches aspiring leaders in the Master of Education Leadership program about leading educational change. Her AfL research and publications (http://eprints.qut.edu.au/view/person/Willis,_Jill.html) contribute significant findings about informal group tacit relationships in feedback and self-assessment structures that inform learner agency and identity. Over 1900 copies of her PhD thesis “Towards learner autonomy: An AfL approach” have been downloaded by readers in 60 countries. Jill draws on her 20 years as a schoolteacher and leader to research alongside teachers to understand AfL issues in practice. With Dr. Lenore Adie she has researched with teachers in Queensland schools to understand how new national assessment standards are interpreted into classroom assessment practices, and how annotation of exemplar assessment responses can enhance a teacher’s and the learner’s understanding of assessment standards. She has also researched how digital feedback loops in largescale change can be a form of reflexive digital self-assessment that can enhance learner agency and inform system change. Her current research with Professor Bronwen Cowie (Waikato University, New Zealand) and Dr. Chris Harrison (Kings College, London) arises from issues raised through the international AfL network about promoting sustainable AfL change in teacher practice through inquiring into teacher noticing of AfL moments in action. Jill is an experienced facilitator of teacher professional learning with a warm and inclusive approach. She is often invited to speak at national, state and local teacher professional learning events, and to lead cooperative programs between the Education faculty and innovation partners such the Mentoring Beginning Teacher program training 3000 state school teachers in mentoring (2014-15), the Teacher Education Centre of Excellence (2011-13), and the Transform project focusing on digital pedagogies in tertiary learning (2013-14). She facilitates professional learning that is active, reflective and builds on participant knowledge and evidence based research to inspire teachers towards ongoing inquiry into their own practice. Edward Roeber, Ph.D., is a master change-agent, highly regarded as both an academician and practitioner in assessment and evaluation. His depth of knowledge and experience in formative and summative assessment and program evaluation is widely respected across Michigan and the U.S. Dr. Roeber currently serves as assessment director for the Michigan Assessment Consortium (MAC). Before his time with the MAC, Dr. Roeber served for about 20 years as the Supervisor of the Michigan Educational Assessment Program and four years as Executive Director of the Office of Educational Assessment and Accountability (OEAA) for the Michigan Department of Education (MDE). In the latter role, he envisioned a more complete balanced assessment system and MDE-provided professional learning opportunities to help educators bring effective formative assessment strategies into classrooms. From this vision, FAME was created. By endorsing and financially supporting a statewide initiative, MDE sent a strong message of value for the formative assessment process. Since his retirement from that role, Ed has continued his involvement in formative assessment by leading the research and development team for FAME, and he frequently presents on the topics of assessment system balance and formative assessment. He began his career as a consultant with the Education Commission of the States, working on the National Assessment of Educational Progress in the areas of mathematics, music, reading, science, visual arts, and writing. His extensive career also includes experience as the Director of Student Assessment Programs for the Council of Chief State School Officers (CCSSO) as well as service to the Education Commission of the States, Measured Progress, Michigan State University, and WIDA/WCER. He has consulted with a number of states and national organizations on the design, development, and implementation of large-scale assessment programs. He has authored numerous articles, reports, and other publications, particularly on the development of innovative assessment programs and the use and reporting of student achievement information. In addition, he has made numerous presentations to various groups around the country. Roeber earned his Ph.D. in measurement and evaluation with a minor in educational psychology from the University of Michigan. ALN Learning Point—What is formative assessment?